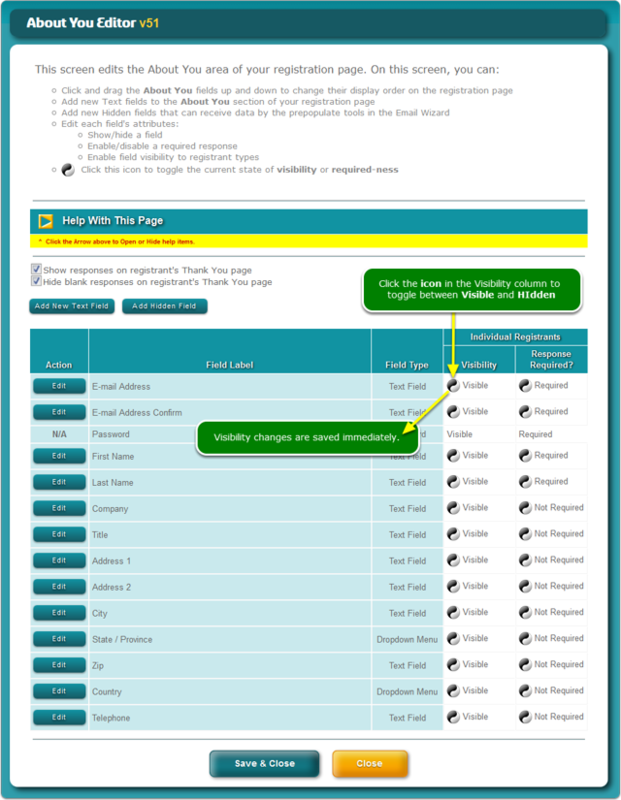 Help Documents - Version 5 Capture Registrant InformationHow do I change the visibility of a registrant information field? 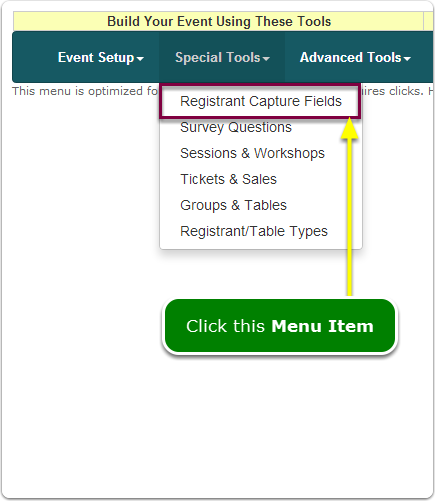 Prev: How do I add registrant information capture fields? Next: How do I change the required-ness of a registrant information field?